Grenades are effective in neutralizing your enemies in an airsoft field match. But the problem is they are so expensive it will cost you a lot of money to buy them. 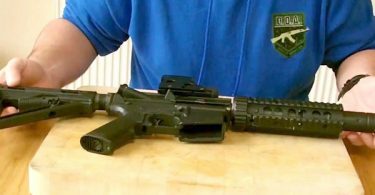 Don’t you know that there are easy ways you can make airsoft grenades using inexpensive materials? If you are looking to dominate a field match, you need to use several airsoft grenades. They can launch a bunch of BBs that can ‘take out’ enemy groups in one instant. You need to use them if you want to win and there are several ways on how you can build them inexpensively. But first things first. If you are a minor, don’t do any of these steps without adult supervision. 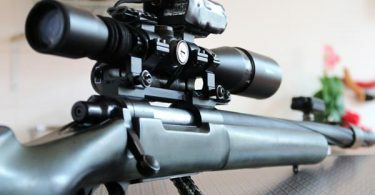 In addition, you should take all necessary precautions while handling the materials and building the airsoft grenades. You don’t want them exploding on your face inadvertently. And always wear protective clothing and goggles while you’re doing it. 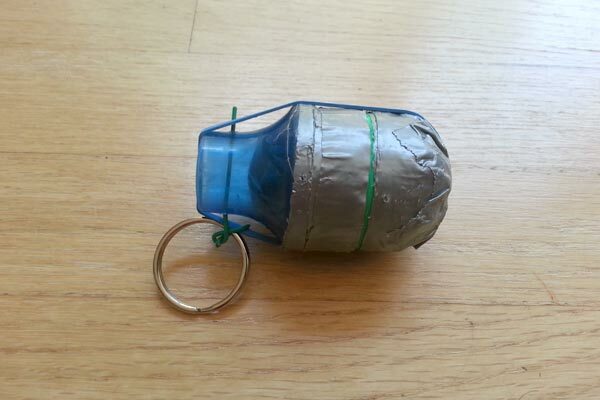 Secured Flanks has a great idea on how you can make inexpensive airsoft grenades. Here’s how you can do it. 1. Buy some plastic Easter eggs. 2. There is already a hole on one end of the eggs. Make these holes larger by drilling on them so that one firecracker will fit. 3. Put a firecracker on the hole of each egg, an m90 will be enough. Make sure that the fuse of the firecracker is on the outside. 4. Get some BBs and put them on the other half of the plastic egg. 5 Close the plastic egg and wrap a plastic tape to secure the whole egg. This will ensure that the eggs won’t come apart when you throw them. There is another great idea on the Airsoft United website. This website gives you some instructions on how to make airsoft grenades using water bottles. Here is how they do it. 6. Roll up the paper tissue. The diameter of the roll must fit into the mouth of the plastic bottle. 7. Fold up both ends of the tissue so that its contents won’t fall out. The tissue should look like a straw. 8. When you are ready to throw your ‘grenade’ to the enemy line, open up the plastic bottle, uncover one fold of the ‘straw’ and pour the contents into the bottle. Re-cap the bottle and shake it thoroughly and the contents will expand. If you feel that the airsoft grenade is about to explode throw it at something that is solid nearest your enemies. You can use firecrackers as airsoft grenades too. Here are the instructions from Instructables.com on how this is done. The materials you will need are some firecrackers, hot glue gun, and some airsoft BBs. Be very careful when handling the firecrackers. 6. Bend the firecracker fuse about halfway. When you light this fuse, throw the grenade when the light has reached this halfway mark. Take all the necessary precautions while building this ‘grenade’ since it is actually an explosive. Don’t let any amount of heat to touch the fuse or the firecracker will explode in your face, with the BBs. Another way you can make inexpensive airsoft grenades is by using ordinary water balloons. This method is described by Wiki How and here are the instructions. 3. Allow the BBs to settle down at the bottom of the balloons, or push them down if they are slow in settling down. 6. When you are in a field match, throw them at your ‘enemies.’ They will explode on impact. Be careful in handling and transporting these airsoft grenades because they are not rigid and can shatter easily upon impact. 7. The baking soda will combine with the vinegar and will expand the gas mixture. This will cause the bag to explode sending all the BBs out flying. For additional information, please watch this short YouTube video. It will show you more techniques in making inexpensive airsoft grenades.